Try telling a raccoon that barking dogs don’t bite. The fear of large carnivores influences a complete ecosystem. Fear and intimidation are far more common in nature than we realised, with surprising consequences not just for animals but for the entire landscape. Predators don’t control populations of their prey just by killing them. They also generate a landscape of fear, inhibiting prey from feeding and turning parts of their habitat into no-go zones. Now it appears that this has far-reaching effects throughout the whole ecosystem. 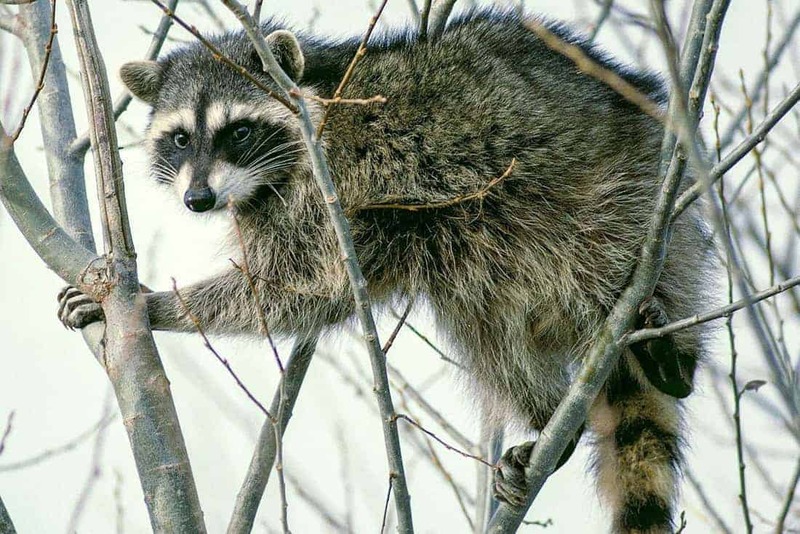 Domestic dogs are the main predators of raccoons on the Gulf Islands of British Columbia, Canada. Justin Suraci and his colleagues at the University of Victoria in Canada wondered what would happen if they stoked the raccoons’ fear of dogs by setting up loudspeakers mimicking barking dogs. The results were astounding, racoons reduced their foraging by almost 66% simply by being scared from the barking sounds emitted by the loudspeakers. In Yellowstone, Elk deer changed their behaviour not only due to hunting pressure of wolves. Their mere presence – perhaps their scent on the wind and tracks in the dirt – creates a perpetual state of apprehension in their prey influencing their mating behaviour, grazing habits and migratory routes.